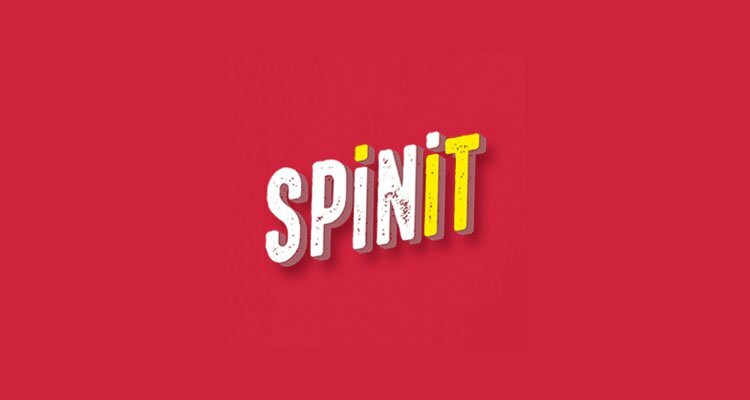 Spinit - Why Play at Spinit Casino Online? Read Review! Players shouldn’t have an issue remembering the name of this casino. Spinit Casino is a high-profile, user-friendly domain which caters to a Northern European audience. They are owned and operated by Genesis Global Limited. Read review below. Other good casinos from the same owner are Genesis Casino and Sloty. As well as being eCOGRA certified, Spinit Casino is also impeccably well-licensed. They hold gambling licensing issued out of two of the most respectable licensing jurisdictions. The Malta Gaming Authority (MGA) and the UK Gambling Commission (UKGC). Choose to play at the RNG certified casino today, and you can claim a welcome bonus which is worth 100% up to £200. This makes for an exciting start to your time at Spinit Casino. Why Play at Spinit Casino Online? Naturally, a casino as popular as this must have a great array of games for you to play. And so they do. Over 1,300 games are currently housed at Spinit Casino, and those games come from a variety of different casino software suppliers. The list includes the likes of Evolution Gaming, Microgaming, Net Entertainment, NYX Interactive and Play ‘n Go, as well as Quickspin and Yggdrasil Gaming. 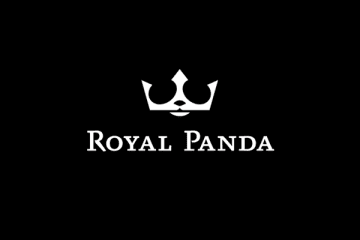 Launched in 2016, this eCOGRA certified online casino offers gameplay in English, Finnish, German, Norwegian and Swedish, but is also accepting of players based in South Africa and Canada. Players will note that games at the site can include a variety of different genres. Amongst those genres are live casino games, table games which include baccarat, blackjack and roulette amongst others, as well as instant win games, video poker, card games, poker games, and jackpot titles. You can also find no small number of scratch cards at the casino. Lovers of big slots are going to be impressed with the array of top slot machine games carried at Spinit Casino. These include popular titles such as Starburst, Mega Moolah, Holmes and the Stolen Stones, Twin Spin, Vikings Go Berzerk, Gemix, Fruit Shop, Fire Joker, Immortal Romance, Gonzo’s Quest, Fortunium, Golden Fish Tank, Rich Wilde and the Book of Dead Slot, as well as countless others. Players will also delight in the live dealer collection at the casino. Some of the more exciting live titles provided at the site by Evolution Gaming and others include Roulette Lobby, Lightning Roulette, Blackjack Lobby, Exclusive Blackjack, Immersive Roulette and many more. If jackpot games are your forte, then Mega Moolah (as mentioned), Gunslinger: Reloaded, Ozwin’s Jackpots, Hall of Gods, Mega Fortune, Divine Fortune, Casino Stud Poker and half a dozen progressive classic slots are likely to appeal to you. 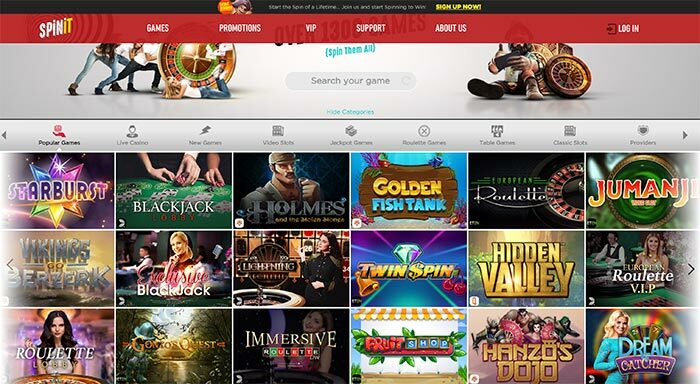 Spinit Casino is mobile-friendly, although it doesn’t feature a mobile app. This has its perks, though. Players are not required to download an app to play their favourite games on the go with Spinit Casino. Instead, they simply need to open the Spinit Casino website on their phone or tablet’s web browser to get started. There is another perk to this method of mobile gameplay. It means that the Spinit mobile casino experience is open to players on all devices, whether they happen to prefer Android, iOS (Apple) or Windows operating systems. The collection of games you can play in the mobile site and the instant play domain are essentially the same, so you don’t lose out playing on your mobile phone or tablet either. Players who need to access customer support have several different options available to them when they play with Spinit Casino. Firstly, we would recommend checking out the FAQ (frequently asked questions) guide. It is more than capable of answering any of the more mundane questions and queries you may have. Should that not cut the mustard for you, there are other support options available. Players can use those options – which include live chat, telephone and e-mail support – to obtain assistance around the clock at Spinit Casino. Security shouldn’t be an issue at this site. As well as being RNG and eCOGRA certified, they also hold licenses issued out of Malta and the United Kingdom. The casino is known to feature SSL (Secure Socket Layer) security encryption, and data is protected by firewalls. You cannot really ask for much more in terms of casino security than what Spinit Casino already has to offer. It is worth noting, however, that players in a handful of countries (such as the USA, France, Australia, Spain and Italy, amongst others) are not permitted to play at the online casino site. If you like to play bingo games, check Mecca Bingo! Players have a few currency options open to them when playing at Spinit Casino. The pound is for UK players. The euro is the currency of choice for many European players. Although the US dollar is also accepted at the site. Players can use those currencies to deposit using VISA, MasterCard, Maestro, Neteller, Skrill, Trustly, EnterCash, Zimpler, Sofort, Giropay, Paysafecard, Boku, Euteller, EcoPayz and Entropay. As you can see, there is no shortage of deposit methods at the site. Deposits are free of charge at the casino, and withdrawals should be, too. Players cannot use all the options listed above to withdraw their winnings. Although, for most of them, there shouldn’t be an issue. 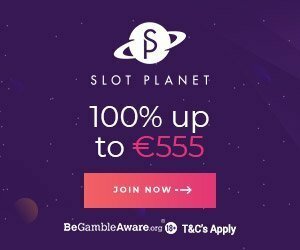 It is also worth noting that Spinit Casino has withdrawal caps of £20,000 per month, or £5,000 per week if you prefer. Become a new member of Spinit Casino, and you can claim a welcome bonus which is worth up to £200. 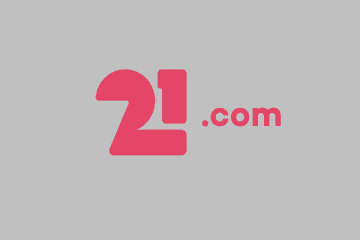 The first deposit you make is worth a 100% match and is valid up to £200. Second and third deposits are worth smaller 50% matches up to £200. And third and fourth deposits are worth 25% matches up to £300 apiece. Promotional bonus codes need to be entered to claim these offers. Also check other casino bonuses. The casino also has a few other offers and deals worth noting. These include tournaments and competitions, regular deposit bonuses on Mondays and Fridays. Also game of the week free spin offers, surprise bonuses, e-mail-based offers and a VIP loyalty bonus program.